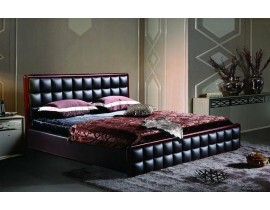 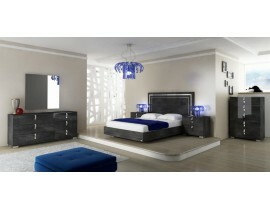 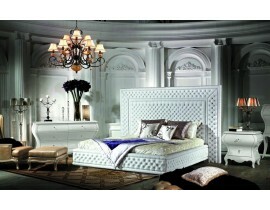 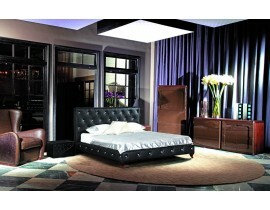 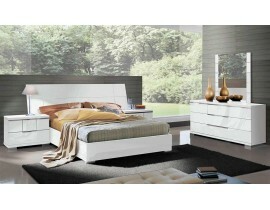 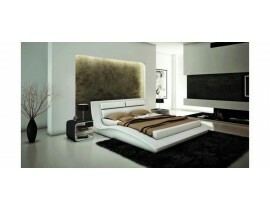 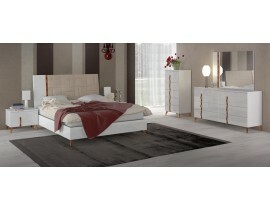 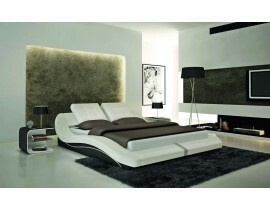 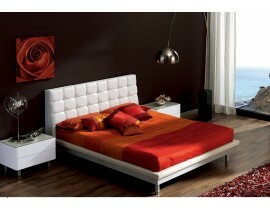 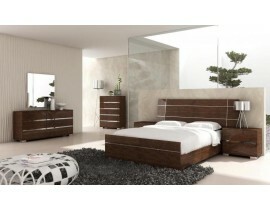 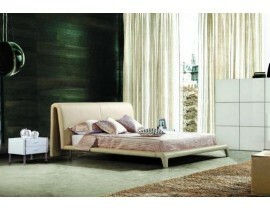 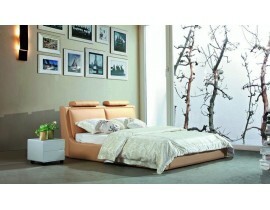 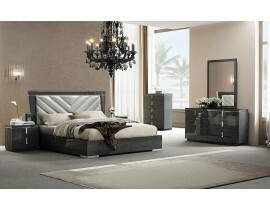 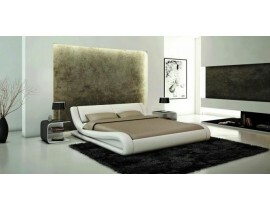 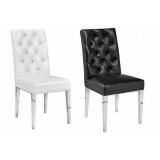 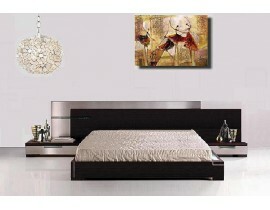 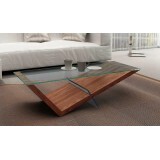 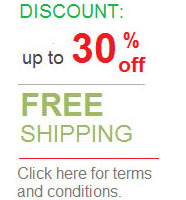 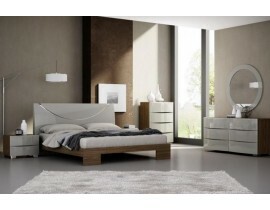 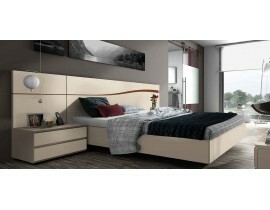 In this section, it shows you all the modern bedroom furniture we carry in stock. 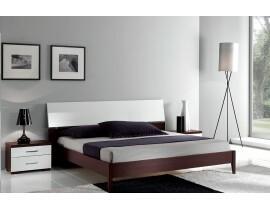 Most of these models are in stock and we can ship in days. 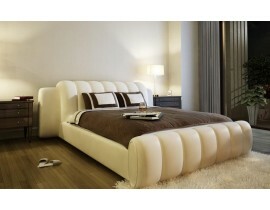 99% of these beds are platform beds which don’t require a box spring. 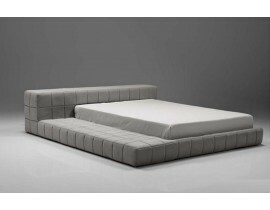 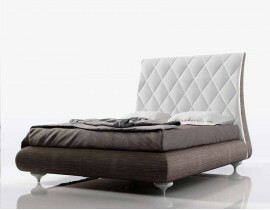 Most of wooden modern beds are made by engineered wood covered by oak veneer and most of leather beds are made by eco leather, high quality environmental friendly leather. 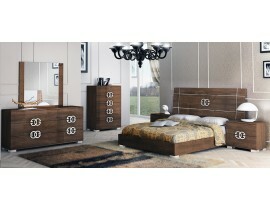 Most of modern bedroom furniture in this section have some unique feature such as lights on headboard, storage feature, floating concept and more. 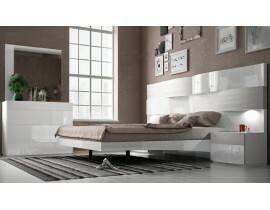 Italian White Contemporary bedroom furniture Made by Status in Italy Q with 2 night stands: 119"W * 85" * 48"H K with 2 night stands: 135"W * 85" * 48"H Dresser: 68.5" * 19" * 34"H Chest: 36" * 19" * 53"H Queen or King bed available Price is for queen bed with 2 night tabls, dresser..